25 drivers representing as many as 10 different countries will come to the circuit located in the capital city of Wielkopolska – Tor Poznań. A visit on the fast and twisty lap of the circuit is always providing a lot of emotions, as this is the place where the championship organized by Volkswagen Racing Polska is always at its finish. This season, as many as four drivers still have a chance to reach the dreamed-of title. The best situation currently has Jeffrey Kruger who scored precisely 400 points. With a loss of 46 points, Dylan Pereira will begin the Poznań round on the 2nd place overall, while the third fastest this season is Marcus Fluch, whose loss to Kruger is 50 points. Just behind them, mathematical chances still have Michał Gadomski, who extended his chances by winning a race number one in Brno. It is worth to remember, that in two races during each round drivers can score maximum 100 points, which means the emotions will be present until the very last meter of the rivalry. Apart from numerous money prizes and awards, the winner of this year’s edition of the Volkswagen Golf Cup will meet an opportunity of a great surprise. He will have a chance to have a guest start in the final round of the Audi Sport TT Cup, which will be held 16th – 18th October on the German venue Hockenheim. The beginning of the last racing weekend of the 2015 Volkswagen Golf Cup will be very busy. The rivalry in Poznań is scheduled for two days, which means they will be quite tight. Most of the drivers know the Tor Poznań really well, that’s why the biggest challenge in the practice sessions would be setting their Golf GTI’s. The racing weekend will begin on Friday, October 2nd – this would also be the day of the first practice sessions, first of which is scheduled at 10:00 a.m. Half an hour sessions are important for the whole grid, as among the others, the drivers are trying to find a perfect setup of the pressure in their tires provided by the Korean company Hankook. After a short break and the first analysis of the lap times, the drivers will once again seat in their Golf’s at 12:55 p.m. during the second free practice, which will be a direct test before the qualifying session, scheduled at 3:35 p.m the very same day. At 4:05 p.m. we will know the starting positions of the whole grid before both Saturday races. Saturday, 3rd October, will be the day of a fierce battle in two races, during which we will know the new champion of the Volkswagen Golf Cup. The beginning of the first rivalry is scheduled at 9:45 a.m., while the drivers will take their starting positions before the second race precisely at 2:00 p.m. The culmination of the final round of the Volkswagen Golf Cup will be an official, solemn end of a 2015 season gala, scheduled at Saturday afternoon. The thing that will make overtaking easier on the Polish venue, as well as bring more colors to the rivalry during the final Volkswagen Golf Cup round is a Push – to – Pass system. It is a solution used in the Golf’s prepared by the Volkswagen Racing Polska since the very beginning of the cup. During this round drivers will have possibility to increase power of the engine with extra 50 hp (up to 310 hp) 19 times during single race. Every time the system will increase the power for 10 seconds, but the next “shot” will be able to use only after the 10 seconds brake. Last season we have seen that the proper usage of the system can be crucial in fighting for the win. At the beginning of the season drivers who used the Push – to – Pass system last year will be in a better position, but during the previous round we have seen that each contestant has learnt very quickly how to make a good use of it. The number displayed on the side wind-shields shows how much shots each driver has left. Activation of the Push – to – Pass system is signalized with a blue lamp placed on the front windscreen of each Golf GTI. During the sixth round of the Volkswagen Golf Cup drivers will have to face a lot of challenges. All sessions scheduled on Friday and Saturday will surely provide a big physical effort, but the racing drivers have already proven this year that they are perfectly prepared, fit and with great stamina. The first races on the Tor Poznań have been organized since a year 1977, when on the beginning of December the new venue destined both for cars and motorcycles have been opened. Three years later, in the area of the lap, a new karting track have been built. The venue in the capital city of Wielkopolska is located on the old airstrip of the Airport Poznań-Ławica. A lap which the Volkswagen Golf Cup drivers will drive on is over 4-kilometers long and have 14 fast, long and technical corners. Fans and supporters who were on the Tor Poznań in the past could admire such fames like Robert Kubica, Michael Schumacher, Lewis Hamilton and Jackie Stewart. Adam Gładysz, sporting coordinator of Volkswagen Golf Cup: - The 2015 season have passed really quickly! We had barely started the year with a preseason tests on Slovakia Ring and now we are heading to the final round on Tor Poznań. We have witnessed an incredible season and a great rivalry of the drivers from 10 different countries all over the world. The last round will take place on our home track in Poznań and there will surely be a lot of emotions – as many as four drivers still have a chance of winning the title! I would like to invite all of our fans to follow the rivalry and feel the emotions on your own. Personally, I keep my fingers crossed for all of the drivers and I hope sport and a fair-play fight will be the winners! Jeffrey Kruger: – I am heading to Poznań thinking about the overall standings situation – my main target this weekend will be scoring a championship title of the Volkswagen Golf Cup. I will also try to win a race, but the priority will be to avoid any unnecessary adventures and contact with other rivals. After a tough round in the Czech Republic I hope to present a better pace. Last season we have been on Tor Poznań twice, so a knowledge of the track shouldn’t be an issue. I already can’t wait until the round starts! 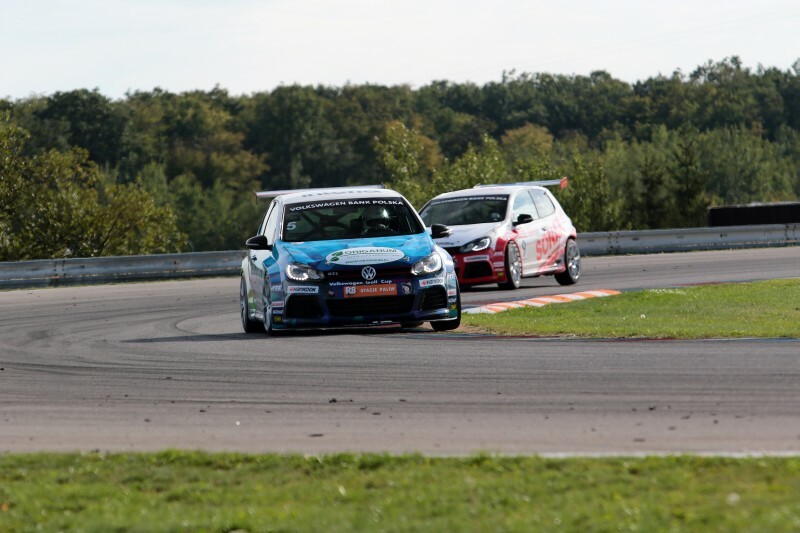 Piotr Parys: – The last round of my first season in the Volkswagen Golf Cup is in front of us. The Tor Poznań is one of my favorite venues, that’s why I will do my best to reach the finish line on the best possible place. I am very happy with my pace during the last weekend in Brno, where I was able to get good positions in both races. Obviously, I will also try to keep the good momentum and fight with Simo Muhonen for the title of the best debutant in the 2015 season. It is the only round held in Poland and it is always very emotional. 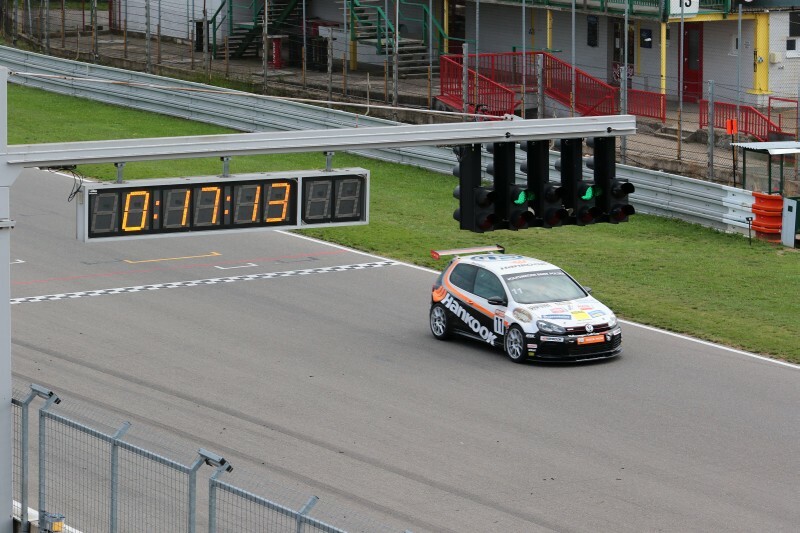 I have good memories with the Tor Poznań, as last year I finished two races of the KIA Lotos Race on second places. This time though, getting such result will be a much bigger challenge – I will fight until the last meters and do all it takes to improve this result, keep your fingers crossed! Simo Muhonen: – I will do my best before the next round in Poznań and try to eliminate the mistakes that cost me podium finishes in Brno. The target will be of course to return to the podium, but according the overall standings I will be focused on a fight with Piotrek Parys on becoming the best debutant of the year. Many drivers have much bigger knowledge of the track then me, but in Brno I also lost a day of preparation and nevertheless was able to present a good pace. I will do my best and we will see what my pace will be in comparison to others.